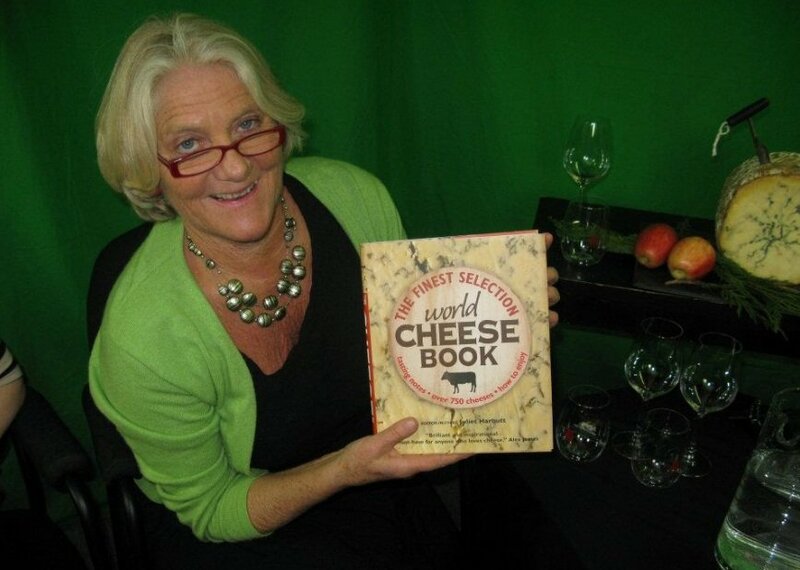 Joining us in studio today, Grand Marnier, French wine royalty Alexandra Lapostolle. Today we are going to be talking about one wine growing region, although considered “new world” this country has been producing wine since the 16th century when the Spanish conquistadors brought over the vitis vinifera vines. We are talking about Chile, this stunning country, plays an important role in the world of wine, as the 5th largest exporter and the 8th largest producer in the world. Joining us in studio to fill us in on the latest news on Chile, and tell us all about her winery, we welcome the dynamic, very astute business woman and very beautiful Alexandra Lapostolle. Alexandra is the founder of the award winning winery Casa Lapostolle, producing some of the finest wines coming out of Chile today. Alexandra says that her wines are ,”French in essence and Chilean by birth”, find out what she means by that. Her Casa Carmenere 2008 recently received 91 points in the Wine Enthusiast and also been selected #3 in the Top 100 Best Buys. Also her roots go very deep with a long history in liqueur and wine, Alexandra is the great granddaughter of Alexandre Marnier Lapostolle, the founder of the world renowned liqueur Grand Marnier, and her family has been involved in winemaking for generations with wines from France in the Loire Valley, the Chateau de Sancerre. Join us this Wednesday as we speak with this fascinating woman, Alexandra Lapostolle. https://www.thewineladies.com/wp-content/uploads/2010/11/alexandrea_lapostolle1.jpg 219 300 Susanne Seelig-Mense https://www.thewineladies.com/wp-content/uploads/2017/08/WineLadiesLogoTransparent.png Susanne Seelig-Mense2011-12-26 22:17:362018-05-17 17:59:46Joining us in studio today, Grand Marnier, French wine royalty Alexandra Lapostolle. 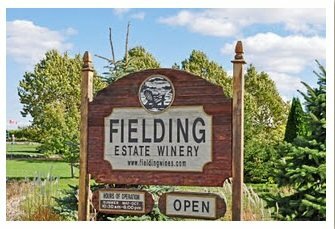 Fielding Estate Winery featured in Jan 15th The Wine Ladies Icewine Tour to Twenty Valley in Niagara. Join us Jan 15th http://guestlistapp.com/events/79167 for The Wine Lades Shimmer of Gold Icewine Tour taking place during the annual Niagara Icewine Festival. Sure to be a stupendous day, a wintry wonderland awaits you, come and celebrate Icewine and winter, with us, at the annual Niagara Icewine Festival. We’ll visit three personally selected wineries where our small group will enjoy a unique VIP wine experience just for us. In between visits, we’ll spend a little time in the village, with the festival offering up fabulous wines, superb foods, and lots of shopping and entertainment. The ice sculptures and roasting marshmallows are always a hit too! 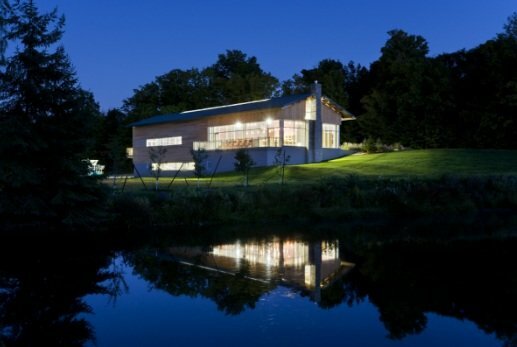 Our 1st stop on the 15th will be Fielding Estate Winery www.fieldingwines.com the Muskoka-inspired Fielding wine lodge nestled at the foot of the Niagara Escarpment, offering stunning views across the winery’s vineyard to Lake Ontario and Toronto’s skyline. This vista is the dominating feature as you cozy up to the wine bar for a sample of some of Ontario’s finest VQA wines. Curtis and Heidi Fielding have quickly carved out a solid reputation for crafting quality VQA wines from their estate vineyards in Beamsville, focusing on grape varieties that perform best in Niagara’s unique microclimate vineyards — Riesling, Pinot Gris and Chardonnay for whites, and Pinot Noir and Merlot for reds. To learn more, visit the winery online at www.fieldingwines.com, on Facebook at www.facebook.com/Fielding.Wines and follow them on Twitter @FieldingWinery. https://www.thewineladies.com/wp-content/uploads/2011/12/untitledfielding_este_winery.jpg 229 335 Susanne Seelig-Mense https://www.thewineladies.com/wp-content/uploads/2017/08/WineLadiesLogoTransparent.png Susanne Seelig-Mense2011-12-26 20:10:012011-12-26 20:10:01Fielding Estate Winery featured in Jan 15th The Wine Ladies Icewine Tour to Twenty Valley in Niagara. There is a new reason to venture out on a chilly January weekend this year, 29 reasons, in fact. Visitors to the NEW Winter WineFest will be able to sample over 50 wines from 29 area wineries. This year Icewine will share centre stage with some of Ontario’s best sparkling and premium VQA wines. The not just Icewine festival which will be hosted in Jordan Village January 16 and 17th. It will allow wine enthusiasts to sip and savour from a list of specialty and reserve wines not offered at any other wine festival. The shift away from the traditional Icewine Festival was one of the first changes implemented by the Twenty Valley Tourism Association. The Jordan Ice Bar has been very successful. However we wanted to create something that is distinctly Twenty Valley. “An event that better showcases the variety of premium wines available here”, says Dori Andrews, Event Manager,Twenty Valley Tourism Association. Many of our most celebrated and popular wineries don’t offer Icewine and were not able to be a part of past events. It makes sense to put our best wines on display. To highlight the range of talent in Twenty Valley. https://www.thewineladies.com/wp-content/uploads/2011/12/twenty_valey_banner_ad.jpg 375 3033 Susanne Seelig-Mense https://www.thewineladies.com/wp-content/uploads/2017/08/WineLadiesLogoTransparent.png Susanne Seelig-Mense2011-12-22 22:54:172019-01-04 12:06:24Twenty Valley’s Winter WineFest adds some sparkle to a winter favourite. https://www.thewineladies.com/wp-content/uploads/2017/08/WineLadiesLogoTransparent.png 0 0 Susanne Seelig-Mense https://www.thewineladies.com/wp-content/uploads/2017/08/WineLadiesLogoTransparent.png Susanne Seelig-Mense2011-12-22 22:48:482011-12-22 22:48:48Twenty Valley’s Winter WineFest adds some sparkle to a winter favourite. 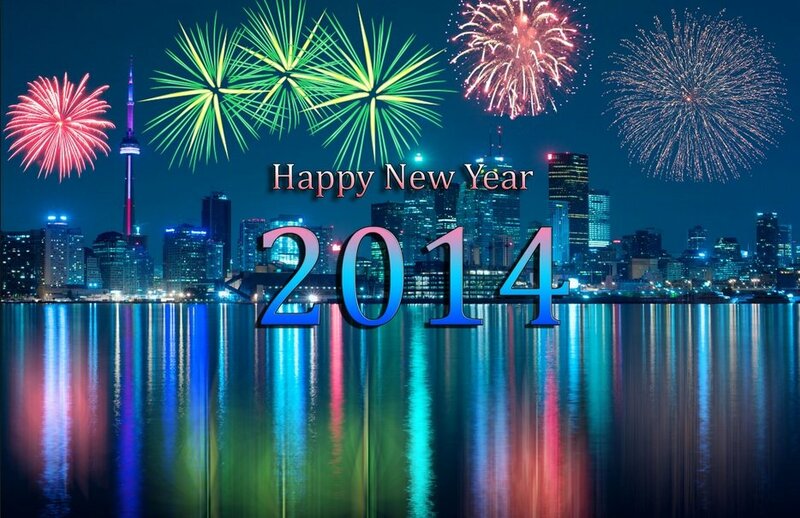 Well it’s been an unbelievable year, 2013 has, with a few challenges yes, but with many jubilations too. We’ve so enjoyed connecting with all of our TV show guests, our fans, listeners and readers, and fellow wine lovers and look forward to an even better 2014! With the clock ticking we’ve finally penned our Top Ten New Year’s Resolutions that we’d love to share, and hope to hear back with some of yours! A toast to 2014 for wine lovers everywhere, “Cheers, Prost, Salute, Salut! 1)We will, no matter how painful or arduous, dedicate ourselves to fulfilling our doctor’s orders of having one glass of red wine per day… Got to keep the ticker healthy! 3) Our new found love for hiking will continue with a promise to scale another peak. Mount Everst,Mount Kilimanjaro anyone? We’re signed up for another year! 4) YES!!! Yet another reason to continue to enjoy our red wine! Keep the Pinot Noir coming, one of the top grapes for “resveratrol” composition! A glass of red will give you about 640 mg of Resveratrol. Resveratrol is a naturally occurring antioxidant found in the skin of red grapes. Research has shown that Resveratrol can reduce or slow down certain signs of aging. Let’s pull a Jack Benny, 39 AGAIN! Fill her up… Actually not quite, leave enough room to swirl, about 1/6 to 1/4 the volume of the glass, depending on the size of the glass. Swirl, sniff and savour! 5) Discover a new wine, a new grape or a new region at least once a week and tweet to our friends. 9) Every day presents a new opportunity to be the best we can be, enjoy, embrace and be challenged. As Oprah says “Cheers to a new year and another chance for us to get it right”. We’re with you Oprah, live, learn and live what you learn! 10)… And finally for the Top Ten’s #1 New year’s Resolution, we promise to continue to spread our playful approach and wine tasting philosophy to the most unsuspecting wine aficionado! Join us Jan 22nd http://guestli.st/79104 for The Wine Lades Shimmer of Gold Icewine Tour taking place during the annual Niagara Icewine Festival. Sure to be a stupendous day, a wintry wonderland awaits you, come and celebrate Icewine and winter, with us, at the annual Niagara Icewine Festival. We’ll visit three personally selected wineries where our small group will enjoy a unique VIP wine experience just for us. In between visits, we’ll spend a little time in the village, with the festival offering up fabulous wines, superb foods, and lots of shopping and entertainment. The ice sculptures and roasting marshmallows are always a hit too! Explore Reif Estate Winery and hear the story of how Klaus W. Reif brought his 13th generation winemaking skills to the Niagara Region and founded a 125 acre vineyard in historic Niagara-on-the-Lake. Your tour will conclude with a comparative tasting of a dry Riesling and Cabernet Franc followed by a Riesling and Cabernet Franc Icewine. Before you head off for your next wine adventure – stop in at our Icewine Festival annual pig roast and taste our signature Vidal Icewine paired with Porketta and apple Icewine sauce. Join us Jan 22nd for The Wine Lades Shimmer of Gold Icewine Tour taking place during the annual Niagara Icewine Festival.Sure to be a stupendous day, a wintry wonderland awaits you, come and celebrate Icewine and winter, with us, at the annual Niagara Icewine Festival. We’ll visit three personally selected wineries where our small group will enjoy a unique VIP wine experience just for us. In between visits, we’ll spend a little time in the village, with the festival offering up fabulous wines, superb foods, and lots of shopping and entertainment. The ice sculptures and roasting marshmallows are always a hit too! Our first stop will be Inniskillin www.inniskillin.com Inniskillin often referred to as the birthplace of the “modern Canadian winery”. It was the first winery to receive a winery license (1975) in Ontario since prohibition. Also in 1984, founders Karl Kaiser and Donald Ziraldo made the most of the extreme Canadian winter to produce the first Icewine, a pivotal point for Inniskillin and the Canadian wine industry. The world began to take notice. 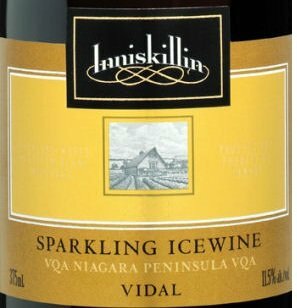 The turning point for Canadian Wine had also arrived where in 1991 Inniskillin’s Vidal Icewine won a Grand Prix d’Honneur at Vinexpo in Bordeaux. 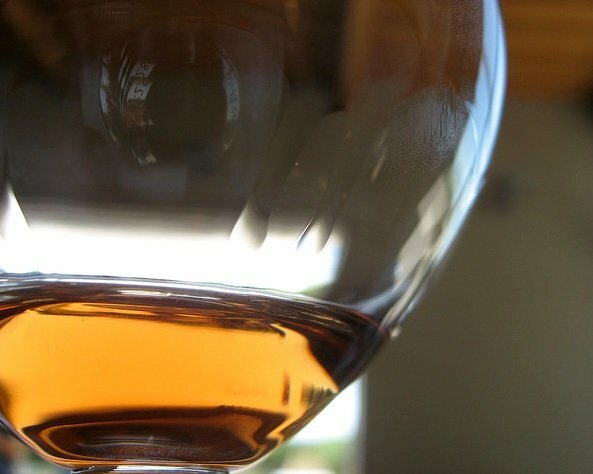 Now almost every winery makes Icewine – the best of astounding luscious freshness.”! 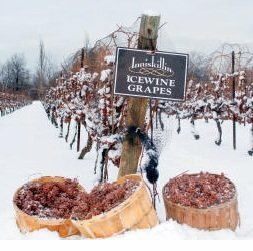 Extreme winemaking in extreme Canadian winters-experience three styles of Vidal Icewine along with tasting the Vidal grape from the Inniskillin Icewine Vineyards. Discover the difference a glass makes with a comparison using the Riedel Vinum Extreme Icewine Glass- a collaboration inspired by Inniskillin! Enjoy with the pairing of an unique dried fruit bread! Italian Romanesque Colaneri Estate Winery featured in The Wine Ladies Icewine Tour Jan 22nd. Frosolone, Italy. It was there in those humble beginnings that, a handsome man, Joseph Colaneri, set his sights on a beautiful woman, Maria from the same “paese”, town. She took one look at those blue eyes and especially his curl hair and she was “innamorato”…in love. We always got a chuckle over the fact Papa lost his hair shortly after they married in 1951. Thank goodness their marriage lasted a lot longer than his hair so the story could continue! They were blessed with two sons, Michele (Mike) and Nicola (Nick). In 1967,the new world beckoned with possibilities, dreams and the promise of good things to come. After many years of hard work and perseverance, the family acquired a 40 acre vineyard where Colaneri Estate Winery now stands. Ma and Papa Colaneri took great joy in tending to the vines all year long. There was a sense of peace and accomplishment in seeing the vines prosper under their care. Mike and Nick married sisters, Angiolina (Angie) and Liberina (Betty) and all lived together on the vineyard. Later, with their children, Tara, Michael, Nicholas and Christopher they continued to teach the importance of hard work and dedication. They were difficult times, but some of the happiest as everyone was together. The Colaneri Family, today, is determined to do Joseph and Maria proud. It is in their honour and memory that we are inspired to continue the tradition that crossed the ocean to the new world. Da paese a nuovo mondo. Tradition, the driving force of our passion for family, life and all it encompasses. We sincerely hope that you enjoy our wines and experience the passion that went into the making of them.Frosolone, Italy. It was there in those humble beginnings that, a handsome man, Joseph Colaneri, set his sights on a beautiful woman, Maria from the same “paese”, town. She took one look at those blue eyes and especially his curl hair and she was “innamorato”…in love. We always got a chuckle over the fact Papa lost his hair shortly after they married in 1951. Thank goodness their marriage lasted a lot longer than his hair so the story could continue! https://www.thewineladies.com/wp-content/uploads/2011/12/colaneri_logo.jpg 138 250 Susanne Seelig-Mense https://www.thewineladies.com/wp-content/uploads/2017/08/WineLadiesLogoTransparent.png Susanne Seelig-Mense2011-12-09 15:18:342011-12-09 15:18:34Italian Romanesque Colaneri Estate Winery featured in The Wine Ladies Icewine Tour Jan 22nd. Also in studio from Girls’ Night Out Wines introducing the perfect companion to the cheese, the Girls’ Night Out Sparkling (100% Riesling) , Suzy Podrebarac and Alison Modesto.